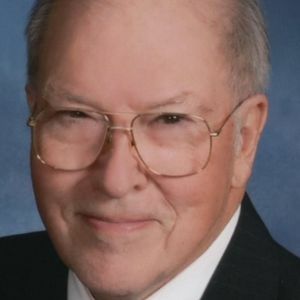 Charles Everett Davies of Indianapolis, formerly of Shelbyville, was a dedicated family man and inspiring educator who died unexpectedly on Friday, March 22, 2019, at age 81. Charles taught chemistry and physics as Triton Central High School for 33 years before his retirement in 2003. He was known for being among the first teachers to arrive and last to leave for the school day and making time for students needing extra help. One student wrote upon his retirement that he represented "the quintessence of inspirational teaching." Charles was a devoted husband to his surviving wife Rita during their 52 years of marriage after meeting on a blind date arranged by one of his bowling team partners. He was the loving father and grandfather of son Thomas Davies of Carmel (wife Laura Ernst-Davies and children Sally, Margaret, Charles, Daniel and Thomas Ernst) and daughters Kathryn Davies of Sarasota, Florida, and Jennifer Bailey of Terre Haute (husband Jim and children Julia, Reece, Abby, Emily and Chloe Bailey). Other survivors include brother Maurice Davies (wife Barbara) of Frankfort, Indiana, and sister Sue Resner (husband Fred) of Greencastle, Indiana. His brother Richard preceded him in death. Charles was a son of Alvin and Leona (Sheets) Davies and grew up on the family farm in Clinton County, Indiana. Allergies to dust and his interest in math and science led him away from the farm after graduating from Rossville High School in 1955. He earned bachelor's and master's degrees from Purdue University and began his teaching career in Syracuse, Indiana, in 1959 before moving to Triton Central in 1970. His varied interests included spending about 20 years meticulously restoring an early 1900s Victorian home on West Mechanic Street in Shelbyville where he and Rita lived from 1979 until moving to Franklin Township in 2005. Charles was a leader of the Hometown Heritage historic preservation group in the 1980s and remained active in Shelbyville by volunteering with a weekly handymen's group at St. Joseph Catholic Church and participating in the St. Joe Social Club's activities and bus trips with Rita. Charles was active outside the classroom at Triton Central, including more than 30 years as the boys varsity basketball scoreboard operator, being a class and chess club sponsor and serving as a leader of the school district's teachers association. Charles said his proudest accomplishment at Triton Central was building up the chemistry and physics courses from 40 students per graduating class when he started to about 100 students per class when he retired. Many students credited him with helping them toward careers in science, engineering and medicine. In retirement, Charles attended numerous school events, music and dance performances, band concerts and ball games involving his grandchildren. He enjoyed helping his children and others with house projects, gardening at his home and was known to spend hours with his snow blower clearing the sidewalks and driveways of neighbors after winter storms. He was an avid reader and his detailed notecards show he was in the middle of reading his 1,163rd book since 2003 (mainly spy thrillers but, surprisingly, several Nicholas Sparks books as well). He and Rita traveled frequently, including a family trip to Disney World, several trips to Branson, Missouri, cruises to the Panama Canal and the Bahamas, and visiting their daughter's home in Florida. Stories abound of former students stopping Charles to talk, ranging from a Dollar General store parking lot a few weeks ago to an encounter at Disney's Epcot park in Florida. Visitation is scheduled for 4-7 p.m. Thursday, March 28, at Wilson St. Pierre funeral home, 481 W. Main St. in Greenwood. A funeral service will begin at 10:30 a.m. Friday, March 29, at Nativity Catholic Church, 7225 Southeastern Ave. in Indianapolis. In lieu of flowers, please make a donation in Charles' memory to the charity of the donor's choice.